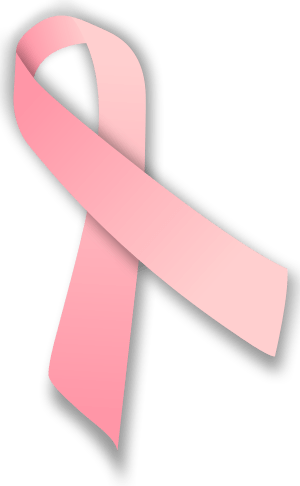 During Breast Cancer Awareness Month I took a look at the updated research for any new developments to share, and the information I discovered was quite interesting. Some previously praised supplements are actually no longer definitively considered strong preventives while other practices have been reviewed to make the reasoning behind their classification as a risk more clear to the public. First up, some common practices that should be modified for better breast health. Where research in the preventive power of this prohormone has been inconclusive, what has been consistently observed is a lower incidence of breast cancer in parts of the country and cities with more sunlit days. The more overcast and cloudy areas have more occurrences of the disease. Our bodies produce D3 when exposed to UV rays, and the lower risks have been observed in those with blood levels of D3 averaging approximately 4000 IUs / day. Until more conclusive research is obtained, supplementing 2000 IUs of D3 /day along with getting 20 minutes of daily protection free sun exposure is recommended. Omega 3 Fatty Acids (found in salmon, tuna, algae, krill, flax and other foods) are necessary for many reasons. The healthy fat they provide carries the fat soluble vitamins A, D, E and K from our food into our bodies and benefits the heart, brain and joints among other body systems and functions. However, latest research indicates that the anti-inflammatory benefits of Omega 3’s are reduced when there is too much Omega 6 (found in poultry, eggs, avocados and most vegetable oils) present. Additionally, excess Omega 6 has been linked to increased breast cancer risks in post menopausal women. The healthiest ratio to maintain between these two essential fatty acids is 1:1. Most Americans unfortunately maintain a 1:14 ratio increasing our risk for disease development. Many studies have been done recently on the impacts of melatonin on breast cancer development and treatment. And what has thus far been determined is that through its inhibitory effect of estrogen and progesterone production, melatonin can be helpful in both preventing the disease’s development and extending the survival rates of those diagnosed with it. Because our bodies’ natural melatonin production declines at age 40, supplementation in the mid to late 30’s may be beneficial. Stick with dosages between 1 and 5 milligrams as it has not yet been confirmed that more is necessarily better. One of the greatest gifts from Mother Nature is the vast selection of healing plants, trees and vegetation from which we create our medicines. The following herbs have long and strong reputations for effectively aiding the fight against cancers. They can be further researched by you and your physician to determine their compatibility with your current treatment plan. They can compliment, but they should not be viewed as replacements for conventional treatment. More information can be found in Rosemary Gladstar’s Herbal Healing for Women, 1993. Armed and Immune Part II: Allergies… Really? Last week I wasn’t sure if my sniffling and scratching was due to allergies or the onset of a cold. This week, as I awake to puffy eyes and eagerly await the afternoon to see my face restored to its usual size and shape, I’m leaning more toward allergies as the culprit. And as I watched my dear friend rapidly progress from itchy eyes to a full-blown sneeze attack, any remaining doubt disappeared. Wait a minute though, allergies seem unlikely because the seasons for pollination have passed. Right? Actually, not quite. I did a little more research, and sure enough, fall allergies are not just figments of our imaginations. Ragweed, which begins to pollinate in August, is considered the greatest trigger of the coming season. And mold, another offender, will get a tremendous breeding boost when its spores take up residence in the piles of fallen damp leaves soon to decorate our streets and yards. Both of these irritants can take flight, travel hundreds of miles, and share their joy with unsuspecting victims in faraway places. Nature- got to love it. infection. Although last week’s VitaTrio is a wonderful foundation for the immune system, enabling it to protect and sustain us, some assistance from more trigger ready nutrients can offer the immediate relief most desired when up against inflamed sinuses, watery eyes, runny noses and fatigue. plates. Thankfully, supplemental MSM is available in liquid and pill forms and can safely be used in high doses for extended periods of time, without side effects or adverse interactions with other medications. Combining MSM with a Vitamin C supplement will increase its benefits, as will taking the supplement on a consistent basis to avail a constant supply to our systems. The recommended starting point is 1000 mgs per day, taken in divided doses, twice daily, with meals. Benefits may be experienced in as soon as two days. Quercetin is one of the bioflavonoid nutrients that are essential to our bodies’ absorption of Vitamin C. Peppers, grapefruits, lemons, apricots, blackberries, elderberries, rosehips and the white material beneath the peels of citrus fruits all contain bioflavonoids. And many Vitamin C supplements are formulated with them for enhanced absorption. and effectiveness within the body is enhanced by the enzyme bromelain, found in pineapples. Bromelain also reduces inflammation, the root cause of much allergy induced sinus pressure and head pain. Start with 500 mgs of quercetin, 100 mgs of bromelain and 500 mgs of vitamin C together, twice per day, and gradually increase as needed. Once, out of desperation, I tried an over the counter antihistamine for relief, but I found it to be too drying to my nose and throat and that was almost as uncomfortable as the actual allergy symptoms.